In the Bavarian dialect, the phrase – Ozapft is, has been in use since the 1950s in the context of the Oktoberfest. It was in fact after the end of the Second World War, which had in the first placed hindered the hosting of the festival for a few years. The term implies the Mayor of Munich breaks the very first barrel in the Schottenhamel tent and formally declares the commencement of the Oktoberfest. When the phrase is translated into simple German it becomes – Angezapft ist es or Es ist angezapft. In these phrases, the word angezapfen is indicative of a tap action on the barrel of beer with a hammer. You will be amazed to know the sheer enthusiasm which this term denotes in Munich. Upon hearing the call of – Ozapft is people almost instantaneously go in the party mood. Dancing and drinking are just add-ons. At that precise moment when the call is made, the exact number of 12 crackers is made to go off right on the steps of the statue of Bavaria. This furthers the call announcing the opening bell of Oktoberfest. One of the few interesting factoids pertaining to the festival concerns with the Mayor Thomas Wimmer. He in the year 1950 took as many as 19 blows to break the first barrel which apparently is still the worst in that regard. On the other hand, the least number of hammers is set at two. In the month of September, each year the German city of Munich plays host to the globally renowned Oktoberfest. Millions of people are known to travel to this side of the hemisphere to experience the wildness of the German festival. Oktoberfest was first introduced in the year 1810 by the then crowned prince Ludwig I. It was meant to celebrate his wedding with Princess Therese of Bavaria. The same celebration involved a fantastical horse race which took place in today’s Theresienwiese. Theresienwiese was further named after the bride of the Bavarian Prince, Princess Therese. Furthermore, as many as 6 million people came to Munich in 2015 especially to experience the festival. The officials of the subtitled the festival as a: relaxed autumn-Wiesn with a lot of locals. The facts and figures of the 2015 festival were simply amazing. Beers were the main attraction of the festival, despite it not being the reason as to why the festival takes place. It is one of the least known facts among the people of foreign nationality that the Oktoberfest is, in fact, the celebration of the anniversary of the Bavarian Crown Prince Ludwig and his wife, Princess Therese of Saxony-Hildburghausen. The royalty of the day and age put forward a massive feast and times of merriment to commemorate the event and it is this spirit which continues since 1810. It was like a massive public party which still continues. As far as the beer festival is concerned, it first came about in 1819 as a replacement for the horse race. Furthermore, one can still today find numerous individuals who affiliate themselves with the monarchy who in the honour of the event raise a stein. Another factoid, rather mindboggling for some is that the Oktoberfest by itself does not serve beer. Instead, it is the Oktoberfestbier wherein the beer festival, as a matter of fact, takes place. The best feature of the festival has to be its opening day. This grand opening comprises of numerous events such as the procession of the lords, additionally, brewers and the showmen join these parades on their journey to the Theresienwiese. The spirit of this parade is the marching brass bands who like the piped piper carry the crowd to the central ground. The opening ceremony begins sharply at 11 am. When the first stage of the event concludes the Mayor of Munich taps the beer barrel and shouts out loud – O’zapft is, marking the opening of the festival. Although the fair remains typically in full bloom since 9 am the same morning it is the beer that is only made available after the official tapping and shouting. At the Oktoberfest, you are only going to find lager or Märzenbier from the various breweries of Munich. The varieties on the table at this time usually on an average contain alcohol between 6 and 7 %. It is, by all means, stronger than the regular joe from the corner. One of the matters of concern which turns into a heated discussion each year is the price of the Maß beer. In 2015, for instance, its price varied amongst the tents by ranging between 10 and 10.40 Euros. Maß beer is a speciality of the season also because of the huge 1-litre mug in which it is served. The main attractions include numerous traditional and modern day rides such as the Ferris wheel, toboggan and an Olympia looping. As far as the entry is concerned, one does not have to pay for entry at least either for the festival or the tents. One of the main features that attract the party-loving crowd is the music and if you are able to appreciate the Bavarian wind music, and the various German chart toppers in addition to the various international pop songs then this is the place to be. Oktoberfest is not only popular among the adults, in fact, it is quite safe for the kids as well. The festival can be a complete family affair. For the pious ones, the traditional Oktoberfest mass takes place on the 22nd of September at 10 am. The six Munich-based breweries prepare 13 grand tents for this purpose. These tents are the true unique selling point of the festival and one can observe a Germans dedication towards his or her favourite drink. It is quite a fascination to see the sincerity with which the Germans appreciate the taste and flavouring of the beer. If you are there make sure that even by mistake you do not offend the beer as it has also been observed that even a loose comment might get you into trouble at the hands of the fans of the particular brand. Apart from the drinks, the most integral part of the festival is music. Each of the 13 tents you can find attached a brass band which in their typical style plays some of the most traditional German classics along with the international chart toppers. If you do not appreciate wild dancing and the Oompah soundtracks, in that case, you must head to the Armbrustschützenzelt tent. Here you can guzzle down Paulaner brewhouse’s Oktoberfestbier and along with the flavoursome beer you also get to enjoy finger biting, succulent pork knuckles. Additionally, there is also a bow and arrow range where you can participate in the annually held crossbow completion. If you are lucky, a prize could be on its way. You might also be fascinated when you receive your beer in a 1-litre beer stein, a classic among the beer guzzlers. Also, mind you that these glasses of heavenly drinks are not your average kind. On an average the alcoholic content of these drinks is as high has 6 % which makes them quite strong. In 2015’s festival alone over 6.4 million litres of numerous varieties of beers were consumed. Despite all the alcohol rarely anything goes out of hands here. Often people get confused as to when exactly does this festival begin. Probably Shakespeare was correct in this regard. Oktoberfest, in fact, begins during the middle of September and ends usually by the 4ht of October with the Bavarian Salute. This is simply because of the fantastical weather conditions that are prevalent in the month of September and beyond until the winters start of course. If you ever get a chance then do wait until the end. About 12 riflemen sound the salute and this is known as the Bavarian Salute, it is quite a site. In terms of size and volume, Oktoberfest sure qualifies as the largest folk festival in the whole world. The globetrotting crowd that flocks here in Munich each year around this time is sure influencing the structural and functional fabric but essentially, the festival is very much German, It is also important to state that it does not quite represent the whole of Germany, instead only the Bavarian region to be fair. Interestingly, one can find numerous folk festivals across the other regions of Germany. To name a few – Stuttgart has its very own Cannstatter Wasen, Bremen hosts the Freimarkt and Rheinkirmes is another such festival that takes place in Düsseldorf. These fairs might not carry the same level of international reputation as the Oktoberfest but they sure attract hundreds of thousands of tourists and enthusiasts. The official statistics further suggests that approximately 70 % of the visitors who come and attend the Oktoberfest, in fact, belong to Bavaria and the other 30 % comprises of the rest of the German population, people from other European countries, the US, Australia and Canada. This year’s Oktoberfest is scheduled to begin on the 17th of September and it is further expected to culminate on the 3rd of October. The 3rd of October is a declared public holiday, hence it is expected that the festival might be extended another day. It is important to note that the during the above mentioned days the 13 of the festival tents remain open between 10 am in the morning to 11:30 pm in the night. During the weekends, they begin an hour early, at 9 am and close at the same 11:30 pm. For all of those who like to party late, it is necessary that they note that the last beer is served at 10:30 pm. 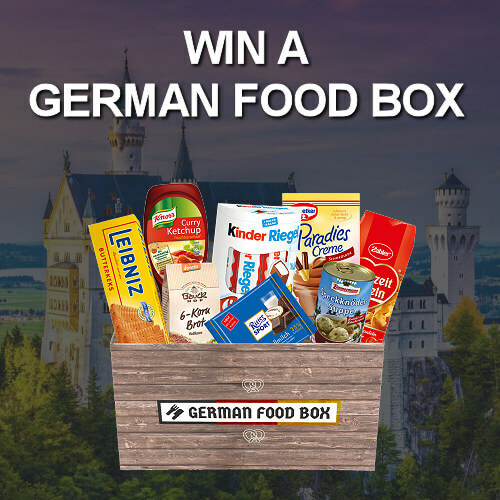 Germans, they are industrious and very particular about the rules and regulations, well until you have the magical persuasive powers. Bayern: The Bavaria Free State in the German language is known as Bayern and is the largest of the 16 German states or Bundesländer and the city of Munich is its capital. Bier: It does not quite require a translation. Today, everything at the Oktoberfest revolves around the Bier or Beer. During this season the Oktoberfestbier, a specially brewed beer for the festival is served. Brewers have to follow certain strict guidelines which exist in consonance with the German Beer Purity Laws. These laws were enacted to maintain the uniqueness of the region along with restricting production tools. The law demands the beers be brewed within the confines of the city along with them using specially defined ingredients. Most of the beers served at the festival are quite strong as they contain over 6 % of alcohol content. Now, if you have to order a beer then it would be beneficial if you remember this line – Ein Bier, bitte. Bierzelt: The beer tents are known as bierzelt and there are usually 13 to 14 large ones in addition to 20 small ones at the festival. The biggest among them is called the Hofbräuzelt. The Hofbräuzelt is large enough to provide seating for approximately 10,000 people. Furthermore, these are no ordinary tents, they are specially designed and erected for the festival. Bierkrug: It is the traditional beer mug and can typically contain 1 litres worth of beer. Brezel: In the German language pretzels are known as brezel. They are typically manufactured using wheat flour, water, and yeast, and are garnished with sprinkles of coarse salt. Dirndl: The local people also like to dress up in the traditional German attires and then go on meandering around the festival. The traditional dress of women is known as the dirndl and it hails from Bavaria. In the recent times, there has been an upsurge in the demand for such attires. One can find numerous internationally renowned labels producing such traditional dresses with some modifications. The typical dirndl comprises of a bodice, blouse, skirt, and apron. Its name originated in South Germany and was borrowed from the regional term – Dirne which was and is used while referring to a young girl. Furthermore, there are numerous ways of wearing the drindl which further carry numerous connotative meanings. Hendl: The famous roasted chicken of Bavaria is known as hendl. It is usually paired with a brezn, and beer. Kellner or Kellnerin: In the German language one uses terms such as • Kellner or Kellnerin while respectfully calling waiters or the waitresses. They carry a special kind of resilience. Well, it is mandatory that they be so because the festival particularly features, more like produces drunken customers. Additionally, the main part of their jobs demands them to carry as many as 10 Bierkrüge or beer mugs at the same time. The festival attracts many prospective candidates because a lot of money can be made at this time. Lebkuchenherz: One of the most iconic features of the festival is the Lebkuchenherz or the gingerbread heart. Though the gingerbread used to be a traditional component of the Christmas markets or German fairs, they have found quite a large fan following at the Oktoberfest. You can find them carrying decorations such as icing sugar, and different kinds of messages such as – Ich liebe dich, which translates as: I love you or Grüße aus München, which translates as a greeting from Munich. The more jovial bakers also go on and inscribe some obscene messages on the gingerbreads along with some affectionate calls. Tourists usually purchase them as souvenirs and take back with them. Lederhose: Why should women have all the fun? When it comes to traditional dresses, the Bavarian Men also have their particular leather trousers which hold traditional connotations. The leather trousers are accompanied with white shirts and socks of knee lengths along with special shoes. Maßkrug: Beers at the festival are served in jugs that are known as Maßkrug or simply Maß. These jugs are made out of glass or stonewash and typically contain exactly 1 litre of beer. München: It is the German name for the city of Munich. Along with playing host to the festival, Munich is also the capital of Bavaria and is the third largest city in Germany. Berlin and Hamburg precede Munich. O’zapft is: This is the German expression used at the commencement of the Oktoberfest. It translates as – it’s tapped. 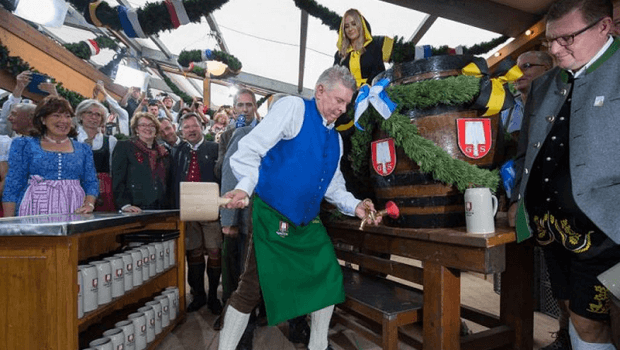 Traditionally speaking, at the first day of the Oktoberfest, Munich’s Mayor has to tap the very first beer keg and exclaim the phrase: O’zapft is or Ozapft is. This immediately marks the commencement of the festival. Prost: Ever wondered, how to say cheers in German? Prost it is! It is crucial that all the travellers are aware of this term. In Germany at large, you will notice that the local people always prefer to toast their drinks. It can also be exclaimed as – Prosit or alternatively, Zum Wohl, this translates as: to your health. Schweinshaxe: Traditionally, Schweinshaxe is the dish that is served along with the beer. It is a dish comprising of pork knuckles and is served in the form of a stew along with Sauerkraut or Knödel, a variety of potato dumplings. Weißwurst: It translates as – White sausages and is a traditional Bavarian Dish. These sausages are made out of minced veal and pork bacon along with spices and herbs. It can be consumed as a snack item and is generally taken in between breakfasts and lunch. Wiesn: Is Oktoberfest known as Oktoberfest in Bavaria as well? If this is your question then the answer is a no. In Bavaria, the festival is known as – Wiesn. It is an abbreviated form of the word – Theresienwiese, meaning meadow.